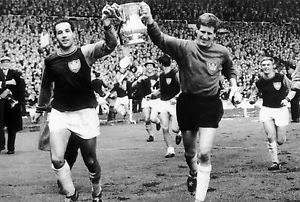 Verywestham: Adrian to join list of Hammers' goalkeeping legends...Kitchen, Standen, Day, Parkes and Dicks?!? Adrian to join list of Hammers' goalkeeping legends...Kitchen, Standen, Day, Parkes and Dicks?!? West Ham’s summer goalkeeping recruit from Real Betis, Adrian San Miguel del Castillo, is already poised to join the Hammers elite in the record books as he prepares for today’s visit from Southampton and the chance to set a new west Ham record of five consecutive Premiership clean sheets. But after a string of sensational performances, as the Hammers rediscovered their defensive parsimony andachieved total shut outs against chelsea, Swansea, Norwich, and Villa , he is now set to match Phil Parkes’ record from 1985, whilst setting a new Premiership record for the Bubbles. However, as the Spaniard will soon discover, he is not alone in being out standing in a field and will be joining a whole legion of record holding Hammers goalkeepers. Moreover, during his time, Phil Parkes was the most expensive signing at a whopping £565,000 in 1979 from QPR - even though he had dodgy knees!!! On the less positive side of things, On 10 October 2009, West Ham United goalkeeper Rob Green became the first ever England goalkeeper to be sent off during a match for his professional foul on Ukrainian Artem Milevskiy. West Ham United’s keeper during the 1960’s, Jim Standen, played cricket for Worcestershire during the summer months and topped the county bowling averages. He could allegedly hurl a football 60-70 yards –m quite a thought for a quick break during a time when the Hammers were blessedwith a series of pacey wingers! "My olde man's a dustman..."
Meanwhile, George Kitchen, who played in goal for the Hammers before the start of the First World War, was a professional golf player at the age of 14 and became a club pro after retiring from football. 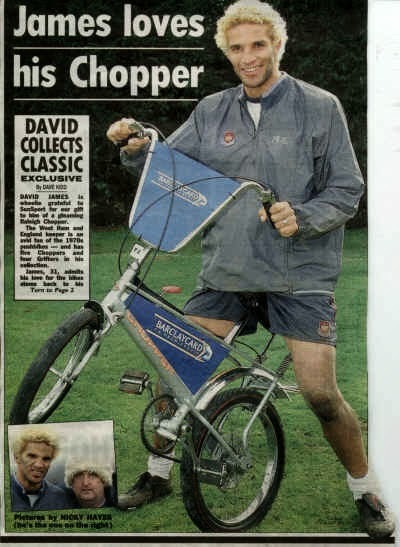 More recently, Shaka Hislop used to work for NASA, while that other Hammers goalkeeping favourite, David James, is an avid collector of seventies superstunt bikes the good old Raleigh Chopper. James not only holds the Premier League record for most clean sheets, with 173, but also the most-silly hairstyles. Oops! Valdo just sneaked in there! Ernie Gregory should certainly be included. Cottee calls for Hammers to ignore the nonsense! Ravel Reverse as Harry left with egg on is face! Hammers in late surge for Europe! What is REALLY going on with Ravel Morrison? West Ham overcome Villa in 7-4 thriller!